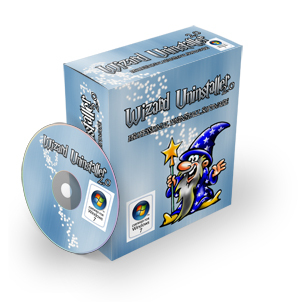 Wizard Uninstaller is one of the most powerful uninstaller programs available. 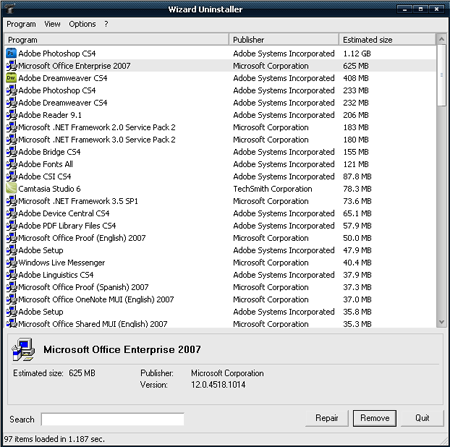 New search technology lets us show you the real number of applications on your PC. Many of these will be hidden in the Add / Remove programs applet, giving you complete control over which programs you keep and uninstall from your PC. 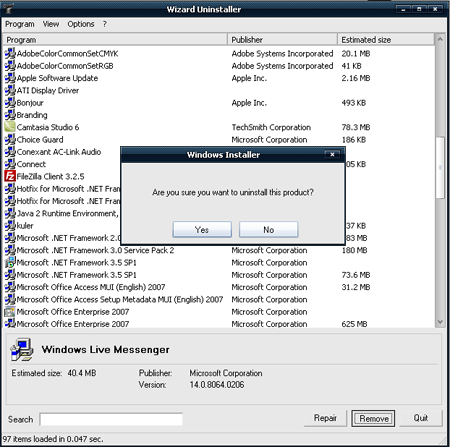 Instead of giving you a complicated list of options to uninstall the programs you want, Wizard Uninstaller automatically does what is needed to remove the programs with just one click. You can just click on "Remove" to make the uninstaller remove any program from your PC. It's very easy. After loading all the programs onto the laod screen, you can choose to sort them by either size, name or publisher. 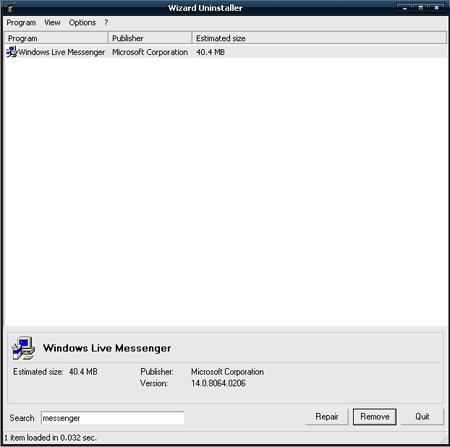 This allows you to better organize your uninstall routine, giving you complete flexibility over how you use Wizard Uninstaller. 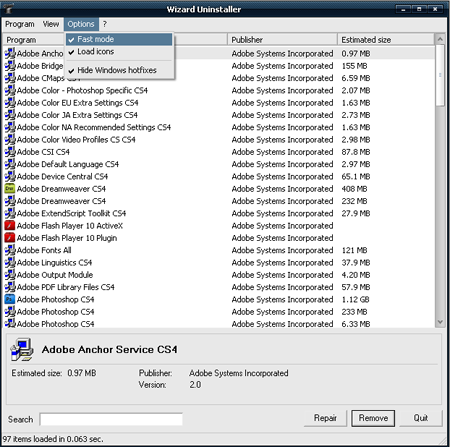 Instead of having any fancy graphics that slow down the program, we have made Wizard Uninstaller as simple to use as possible, allowing you to quickly get rid of as many programs as you need. We have integrated a "fast mode", giving you the fastest way to uninstall any program from your PC. You can now search the complete list of applications on your computer to quickly find any program you want to uninstall. This search feature is extremely efficient, giving ultimate speed to your mission to remove a program. All these features and much more are available from downloading Wizard Uninstaller for $29.95.